Wayne Turnblom offers to DHA clients a wealth of expertise and experience in the application of best practices in for-profit management to the needs of nonprofit organizations. Dr. Turnblom’s expert counsel ensures that client projects are completed with optimal efficiency, expediency, and cost-effectiveness, thereby minimizing total costs to the client organization and maximizing benefits of raised funds. Wayne has more than 35 years of industrial management experience in new business development, business strategy development, technology transfer and licensing, research and development management, and strategic alliance formation; and has served on numerous boards and committees of professional, academic, and religious organizations throughout the United States. He is a collaborative, highly effective leader in organizational transformation, both strategic and operational, using a consensus-based approach. Wayne’s leadership in master planning, facilities planning (including landmark and historic preservation requirements), operational planning, and financial planning has enabled organizations to undertake successfully multi-million-dollar endeavors in site relocation, capital expansion, and endowment growth. 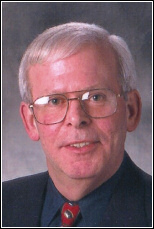 In addition to a distinguished career as Director of Environmental Affairs at Eastman Kodak Company, Wayne has served for nearly 20 years as an officer of the Board of Directors of the Commercial Development and Marketing Association, which honored his contributions with its Outstanding Service Award four times in ten years. Wayne earned his Bachelor of Science degree in chemistry from Worcester Polytechnic Institute and his Doctor of Philosophy degree in organic chemistry from Columbia University. He has conducted post-doctoral research at Princeton University and is a graduate of the Executive Program at Rochester Institute of Technology.